When we inspect a home, it is with the endeavor to point out typical as well as any possible major defects in the home at the time of inspection. From the foundation to the roof top, we work for you. We will also include health, safety, security, maintenance and energy items that may be observed in the course of our evaluation. Home Pride will equip you with helpful information you will need to make your decision with confidence. Our service is to provide the purchaser with a guided tour of the home, inside and out, inspecting it as we go through. We will show you where important items are such as the location of shut-off valves and switches, and explain the condition of those items. We will also be testing and checking other items using state of the art equipment and provide you with the results in a professional, in-depth report. All homes should be inspected regardless of age (new construction as well as older homes). In the case of a seller requested inspection (pre-inspection), we can advise the seller of problems early on so you can avoid costly last minute repairs and avoid last minute delays. Your potential purchaser can contact us for a second walk through with them at a reduced rate. We put pride in our work so you can have pride in your home. 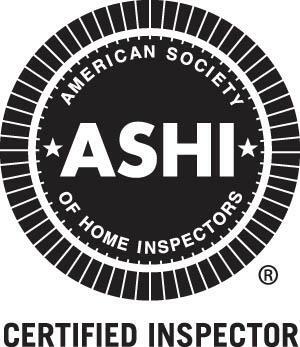 All inspections are performed by a Certified Member of ASHI and meet or exceed the “Standards of Practice” & “Code of Ethics.” Our reports are computer generated, may include digital photos, and will be e-mailed to you. Exterior: roofs, chimney, flashing, gutters, downspouts, overhangs, siding, driveways & walkways, garages, grading & drainage. Basement: foundation, walls, floors, dampness. Major Systems in the home: electrical, plumbing, heating & air (weather permitting), hot water heater. Interior: walls, ceilings, floors, stairways, kitchen & bathrooms, windows & doors, fireplace.